In addition to the ongoing support for VMware vSphere and Microsoft Hyper-V, Veeam Cloud Connect 9.5 Update 4 adds the support for native replication services towards VMware vCloud Director (8.10 and above). In oder to consume vCloud Director replication, also the tenant must run Veeam Backup & Replication 9.5 Update 4. The vSphere comments exposed in the previous chapter are valid also for vCloud Director: from an infrastructure point of view, vCloud Director is on top of the vSphere environment, and the two layers can even be offered at the same time to Cloud Connect tenants. 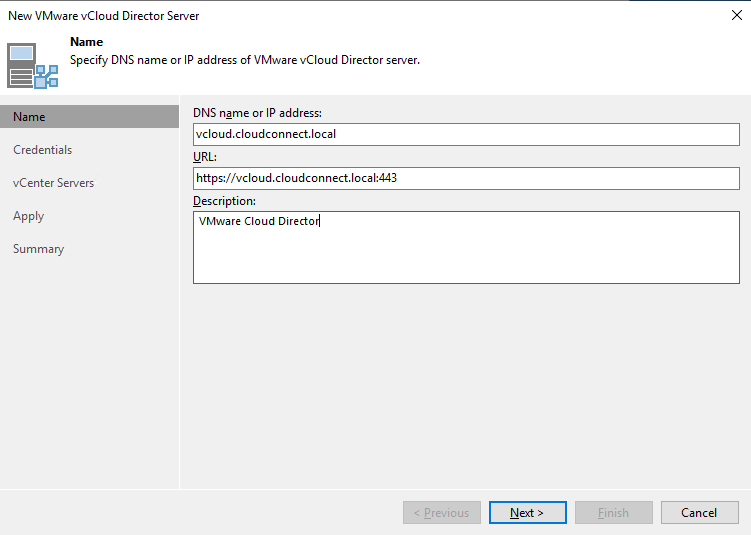 The most important information, when consuming vCloud Director, is that in this case Veeam Cloud Connect DOES NOT CREATE ANY NEW OBJECT like in vSphere environments. No hardware plan, no portgroups, no vlans; Cloud Connect simply connects to vCloud Director and consumes existing resources already created there. So, any resource that needs to be exposed to a tenant has to be created in advance in vCloud Director. With this dedicated account, it is easier to filter logs and identify activities belonging to Veeam Cloud Connect in vCloud Director, so that problem solving should be easier. 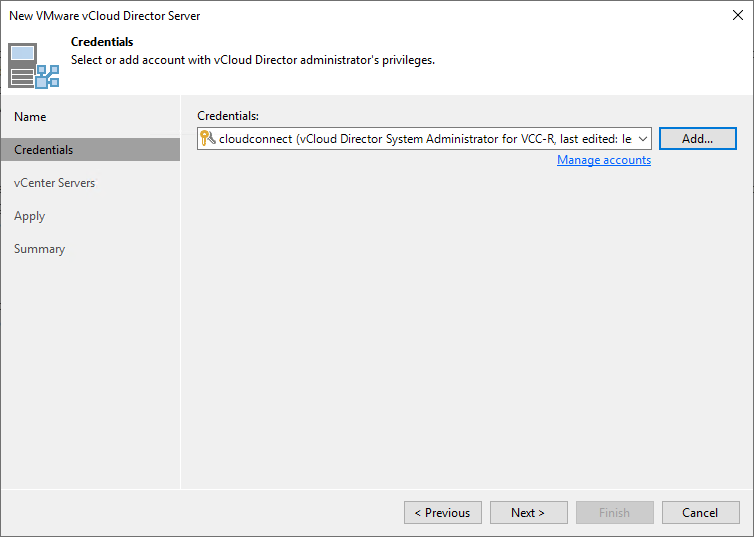 Additionally, it is extremely easy to disable any access of Veeam Cloud Connect to the vCloud environment, if needed, by simply disabling this user.